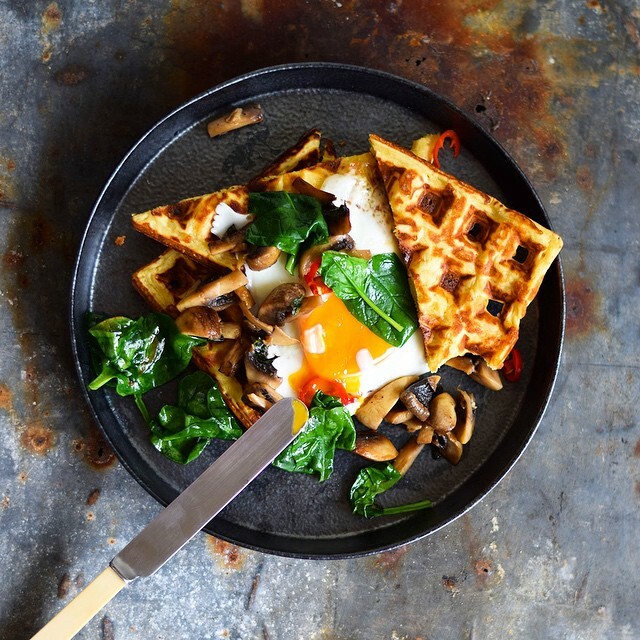 Often thought of as strictly weekend fare, waffles make a great on-the-go breakfast! 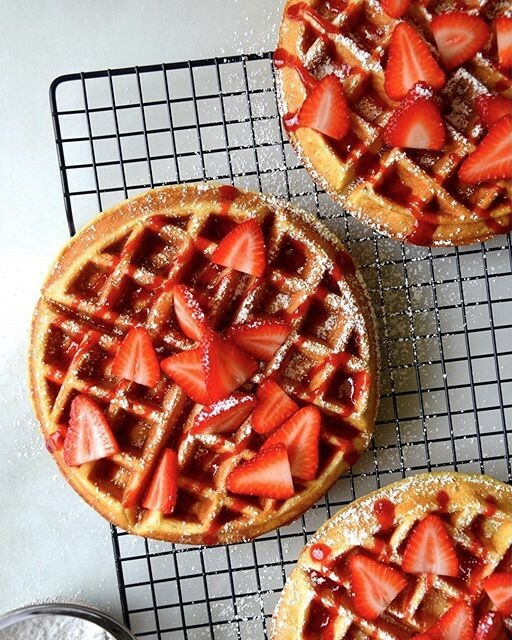 Make a double batch of these Classic Buttermilk Waffles with Fresh Strawberry Syrup by @justataste this weekend, and freeze the leftovers to eat throughout the week. To freeze, let the waffles cool on a wire rack and place on a parchment lined baking sheet that will fit in the freezer. Add sheet pan to freezer, and freeze for about an hour, then transfer to a freezer-safe baggie. To reheat, just pop in the toaster or in a 350˚ F oven for about 10 minutes. Looking for a quick lunch or dinner during the week? Repurpose those frozen waffles for a quick and easy meal! Since your waffles are pre-made, just add some shaved parmesan on top of the mushrooms and fried egg, or make another batch using this clever gluten free waffle recipe! Use your pre-made waffles and enjoy these Sriracha Chicken Waffles open faced, topped with lettuce, tomato and red onion. 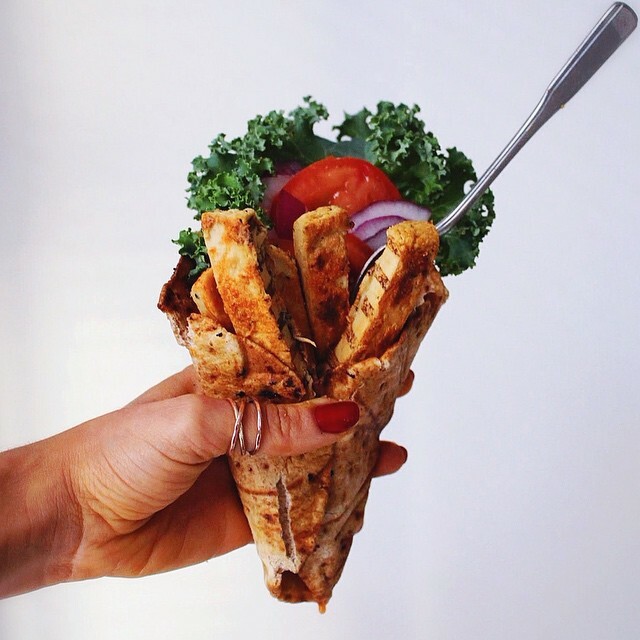 Or try waffle-ing a pita like @mollytavoletti! In my opinion, harissa is one ingredient that should always be in your fridge. I like to think of it like hot sauce, but better. You can use it as a condiment, as a marinade, stirred into soups, as a dip; the options are endless! And while there are plenty of wonderful store-bought varieties to choose from, it's super easy to make at home. 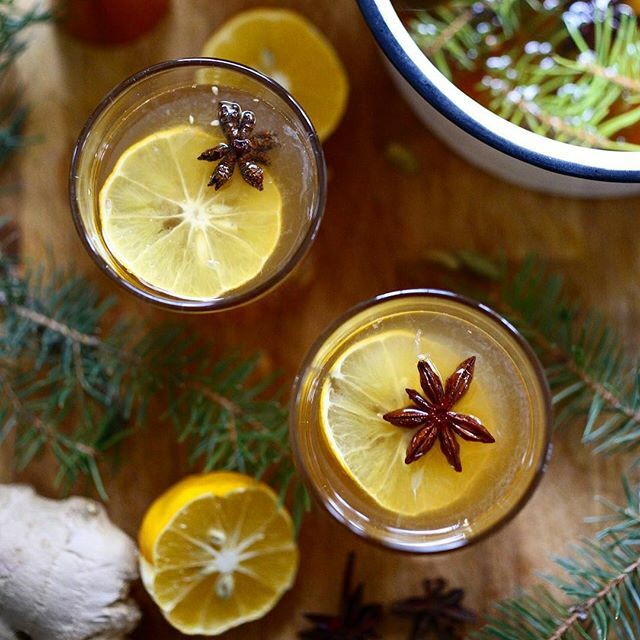 We love this recipe by @tastyyummies; give it a try this weekend and put it to good use throughout the week! On to the rest of the week! 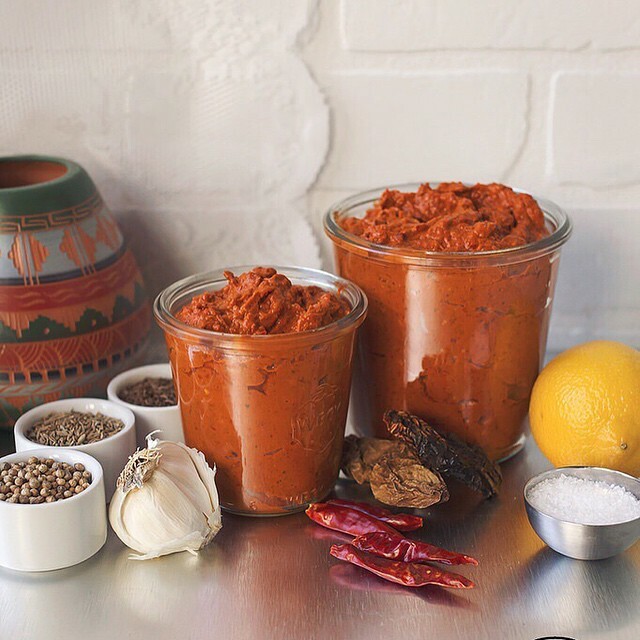 We've chosen a few of our favorite recipes featuring harissa to show the range of this star ingredient. 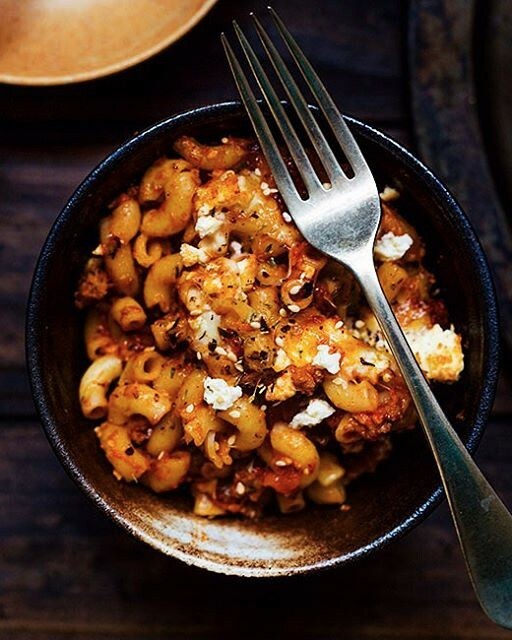 Family Favorites Reinvented with Harissa! Pizza and taco night get upgraded with some Harissa paste! 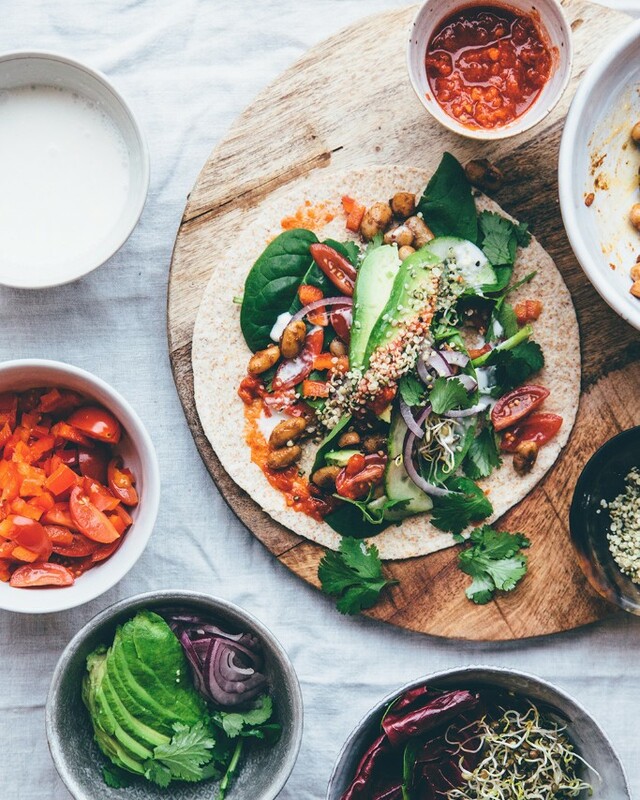 These lovely tacos are vegan, but the recipe could be easily adapted to add meat. Try it with some harissa roasted chicken; slather some harissa paste over two bone-in chicken breasts and roast in a 450˚ F oven for about 40 minutes, or until cooked through. Let chicken cool slightly and shred for tacos! The harissa is stirred into the pizza sauce here, so the spice factor is mild enough for older kids. If you're concerned about little ones, serve the harissa on the side so you can better control the heat. Two weeknight classics improved with the sweet, smoky spicy flavor of harissa. Never have a boring weeknight meal again! 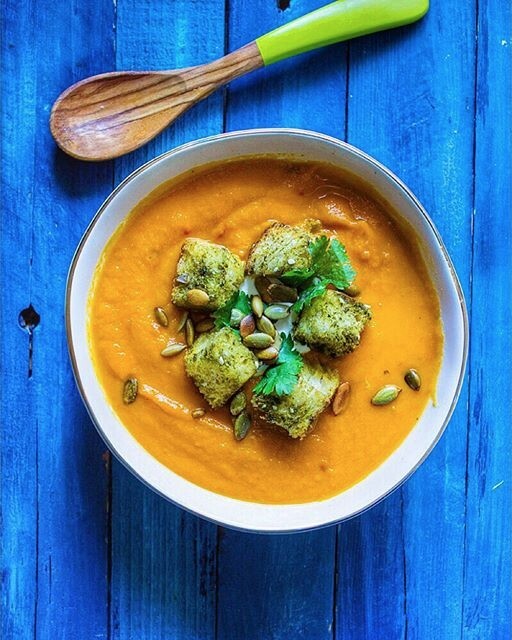 If you want something a bit heartier, consider using @whatjewwannaeat's croutons as inspiration for a Za'atar Challah Grilled Cheese to go along with this soup. Add a little olive oil to a pat of softened butter and mix in some Za'atar. Spread it on some challah (or whatever bread you have on hand) and use it to make your favorite grilled cheese. If you don't like lamb, substitute it for a sausage you prefer. Or skip it altogether and go meatless! 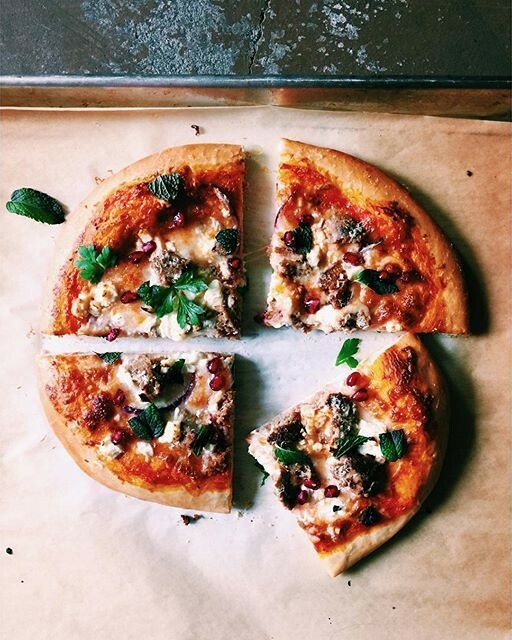 The Harissa & Za'atar add plenty of flavor. Spend some time this weekend on these two worthwhile kitchen projects! 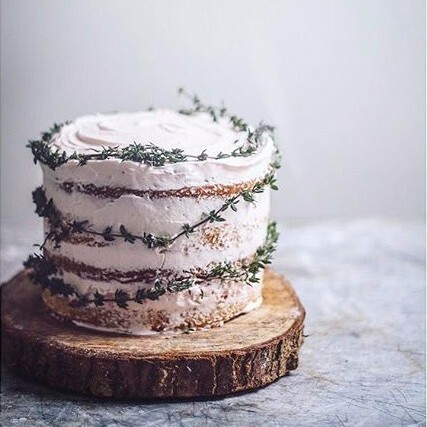 Because is there anything better than a homemade layer cake? This recipe is simple, and doesn't require any special baking equipment. Try using some of the infused Maple Syrup on waffles or pancakes!